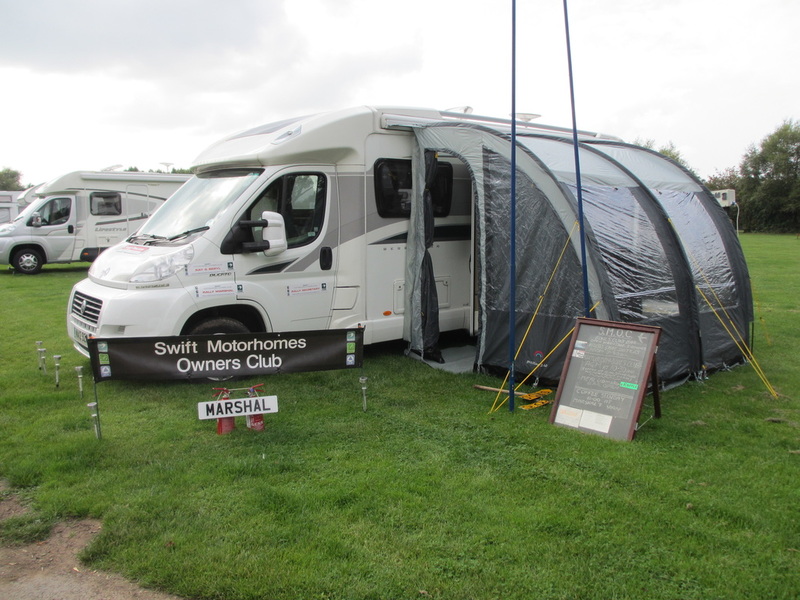 Our aim is to increase members enjoyment of their Swift Group motorhomes. We organise rallies throughout the year and publish a quarterly Newsletter. We are a group of like minded friends, families and individuals who meet up throughout the year at Rallies held by the Club at many different venues. Some rallies coincide with National Motorhome shows, some take us to luxury campsites, others abroad - in short we aim to provide something for everyone. The Rally Reports page gives a taste of what we get up to. The Club was founded in 1989. We have now experienced over 29 years of enjoying the opportunity to meet other Swift Group motorhomers. Our special relationship with Swift has enabled us to organise visits to the Swift production unit where you can see for yourself the modern production facilities and get an opportunity to talk with the people who make our motorhomes. We have an area on the Swift stand at the N.E.C. Motorhome Shows where you can come and meet us.